It appears that the band Def Leppard will be hitting the road again in 2019 to tour the Canada and other countries. 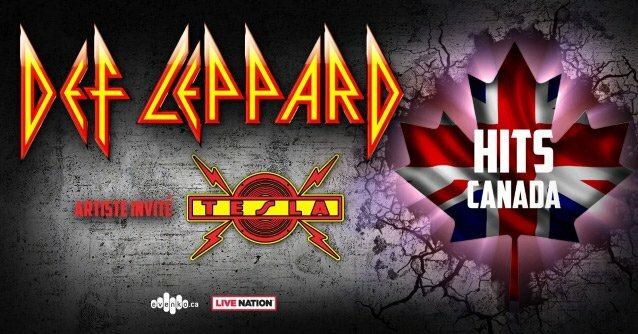 So far the 80’s rock band Def Leppard have JUST ANNOUNCED a decent amount of concert tour dates that take place in Canada. British rock ‘n’ roll icons DEF LEPPARD have announced a Canadian 2019 summer tour. The concert trek will begin in Halifax on July 12th and wind up in Calgary on July 31st. Sacramento based melodic hard rockers TESLA will join DEF LEPPARD on tour as the supporting act. 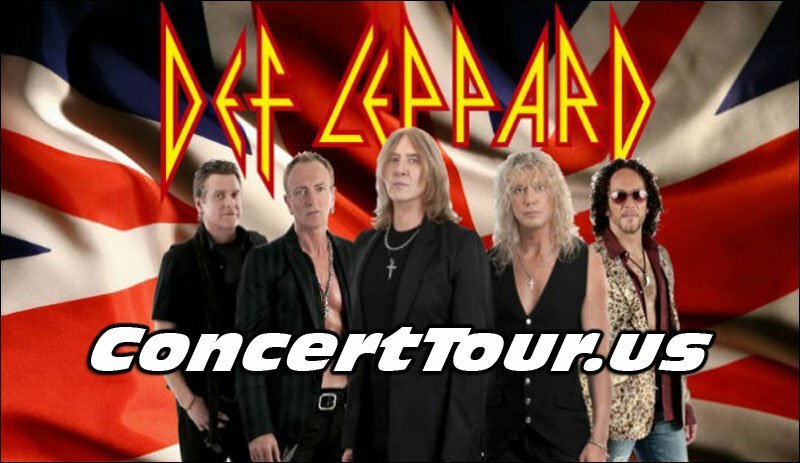 DEF LEPPARD fan presales will start Friday, January 11 at 10 a.m. local time. DEF LEPPARD VIP Packages will also be available beginning Friday, January 11 at 10 a.m. local time. The general onsale will be after the pre-sales, just be patient if you miss out on getting tickets. The venue’s box office may tell you the event is sold out, however they’re always holding back seats to release. Def Leppard will also be performing at least a dozen dates in Las Vegas at the Zappos Theater at Planet Hollywood. They will have a short residency there mid-August through early September. Definitely look for that to be extended though. Their stay there is being named Def Leppard Hits Vegas – The Sin City Residency. DEF LEPPARD’s brand new greatest-hits collection titled “The Story So Far – The Best Of”, was recently released on the past November 30th. It is available in multiple options: a 2-CD set comprised of 35 tracks, 1-CD set comprised of 17 tracks, 2-LP vinyl, and digital. Among a blockbuster tracklisting packed with smash hits, all four versions feature three new songs, including “We All Need Christmas”, “Personal Jesus” and “Rock On (Remix)”. As a bonus for collectors, the first-pressing vinyl copies of “The Story So Far” feature an exclusive seven-inch single of “Personal Jesus” and “We All Need Christmas”. If you weren’t aware, DEF LEPPARD will be inducted into the 2019 Rock And Roll Hall Of Fame next spring. The honor comes after the British rockers got the most votes in the Rock Hall’s online fan poll. One of the top-selling rock acts of of all time, DEF LEPPARD has been eligible for the Rock Hall since 2004. The 34th annual Rock And Roll Hall Of Fame induction ceremony will be held March 29 at Brooklyn, New York’s Barclays Center. HBO will broadcast a truncated version of the ceremony later in the year. Joe Elliot and the boys from Def Leppard made their niche in the rock music industry with hits like High N Dry, Photograph, Foolin’, Pour Some Sugar On Me, Rock of Ages and many more. Their album Pyromania, which was released back in 1983, was the band’s third studio album and was the record that really put them on the map. Below you will find the latest Def Leppard tour dates, links to get Def Leppard concert tickets, a video containing the entire album of Pyromania and some cool pics. 2019 brings us a much welcomed Def Leppard tour up in Canada. They’ll have Tesla as their support act. Def Leppard has a small stay in Las Vegas planned. 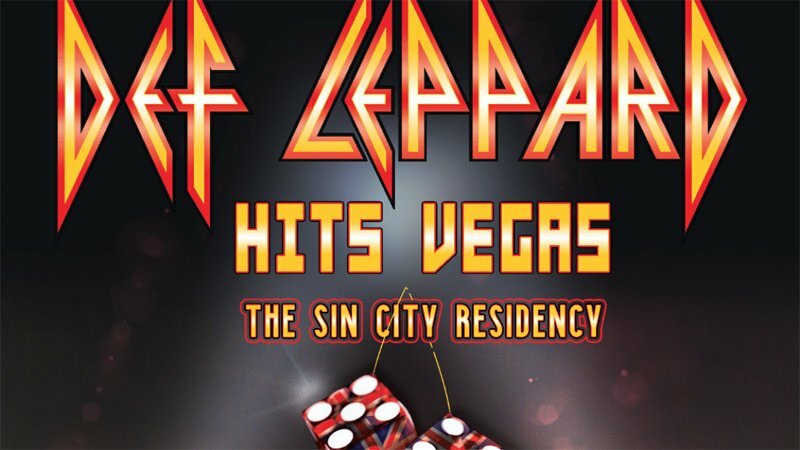 Check out Def Leppard Hits Vegas – The Sin City Residency. Fans are hoping for Def Leppard to continue on into the US, which they may do. Check back often to see if Def Leppard adds more dates to their 2019 tour itinerary.